It may not seem like much, but think of the consequences. 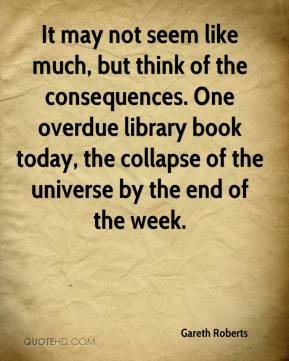 One overdue library book today, the collapse of the universe by the end of the week. 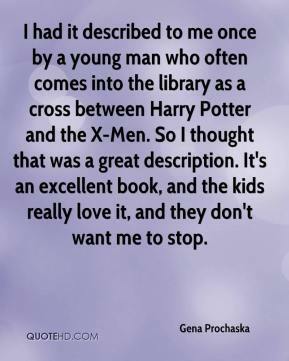 I had it described to me once by a young man who often comes into the library as a cross between Harry Potter and the X-Men. So I thought that was a great description. It's an excellent book, and the kids really love it, and they don't want me to stop. 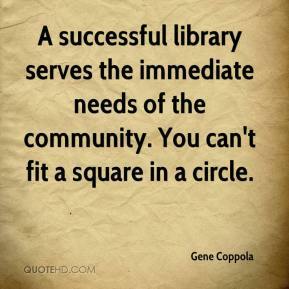 A successful library serves the immediate needs of the community. You can't fit a square in a circle. 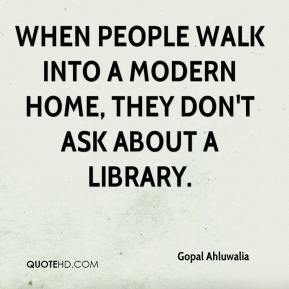 When people walk into a modern home, they don't ask about a library. 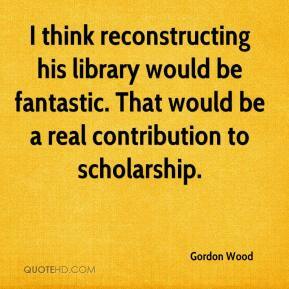 I think reconstructing his library would be fantastic. That would be a real contribution to scholarship. Behind me was the library with its huge mosaic of `Touchdown Jesus.' The ball went up and cleared the crossbar by 3 inches. 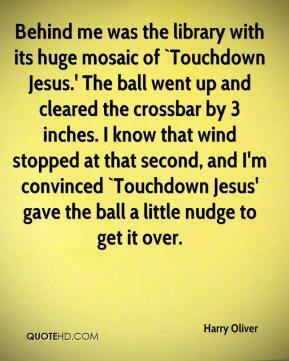 I know that wind stopped at that second, and I'm convinced `Touchdown Jesus' gave the ball a little nudge to get it over. Look into some things you wouldn't normally do, that are inside. 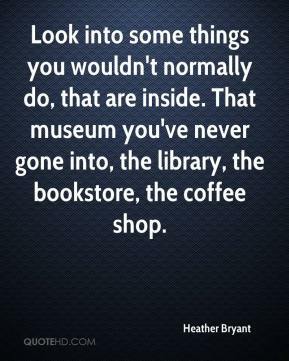 That museum you've never gone into, the library, the bookstore, the coffee shop. It is something we would certainly look at, ... I want to have a central library that's really a vibrant part of our downtown. 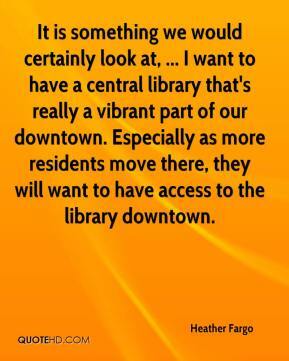 Especially as more residents move there, they will want to have access to the library downtown. 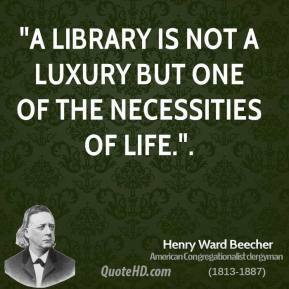 "A library is not a luxury but one of the necessities of life.". 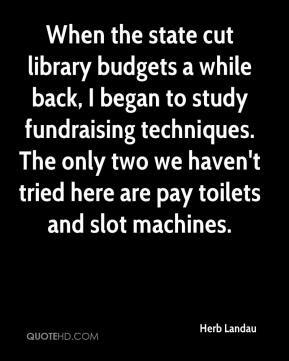 When the state cut library budgets a while back, I began to study fundraising techniques. The only two we haven't tried here are pay toilets and slot machines. 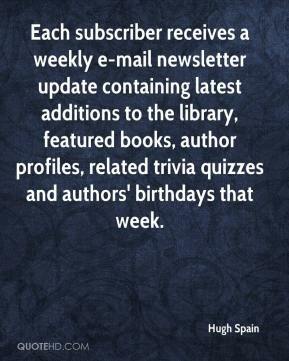 Each subscriber receives a weekly e-mail newsletter update containing latest additions to the library, featured books, author profiles, related trivia quizzes and authors' birthdays that week. 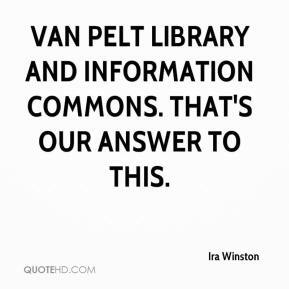 Van Pelt Library and Information Commons. That's our answer to this. 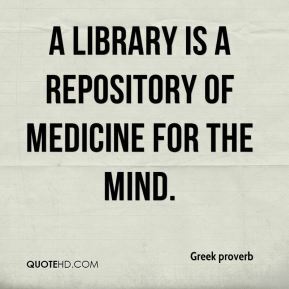 The public library system of America is one of the great treasures of this country, and reading is the entry way to everything -- to personal fulfillment as well as to the future dynamism of our whole society, ... 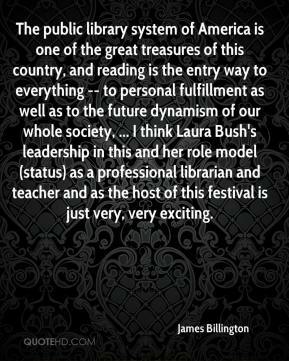 I think Laura Bush's leadership in this and her role model (status) as a professional librarian and teacher and as the host of this festival is just very, very exciting. The World Digital Library is an attempt to go beyond Europe and the Americas...into cultures where the majority of the world is. 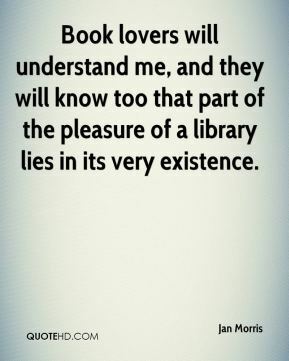 Book lovers will understand me, and they will know too that part of the pleasure of a library lies in its very existence. 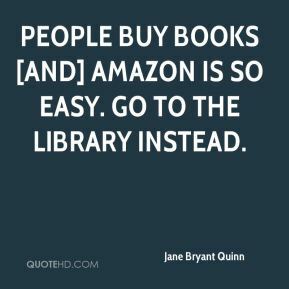 People buy books [and] Amazon is so easy. 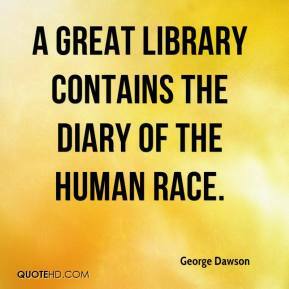 Go to the library instead. 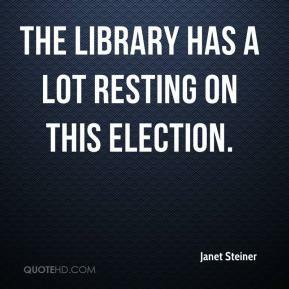 The library has a lot resting on this election. This is more of a library thing. We're the people's university. The senior center is the recreation. 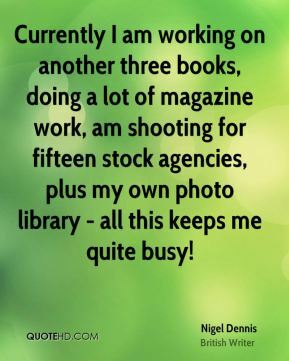 Working with Adam & Eve is perfect for our Lusty Library product. Lusty Library is primarily focused towards a female audience, so what better way is there to say thank you than offering a $500 prize from a market leader like Adam & Eve. 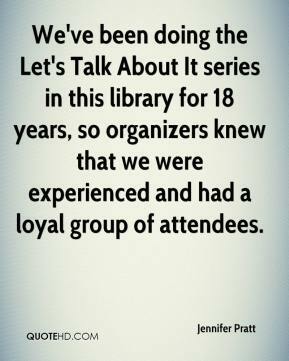 We've been doing the Let's Talk About It series in this library for 18 years, so organizers knew that we were experienced and had a loyal group of attendees. I hope people will come in to use the library and see [the wireless Internet] as an additional benefit. She has more stamina than anyone I know. She doesn't miss a library opening, or a single community gathering She has a lot of credibility in the community. 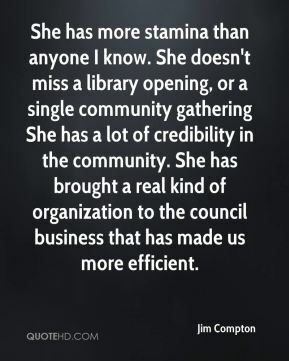 She has brought a real kind of organization to the council business that has made us more efficient.